I may be biased, but I think that the hardest group to shop for are men, particularly teenage boys. You’d think being the mother to two of them would make me something of an expert, but I still find myself begging the boys to give me a list of what they want (or hope they’ll get) every year. Of course the first thing on their list is always cold, hard, cash, but I did manage to get some more personal and fun ideas for gifts, too. So here is a Teen Boys Gift Guide (Shane’s Wish List) and I hope you find it helpful! If you’d like to hear more about these gifts and others that I couldn’t show here, be sure to watch the video! 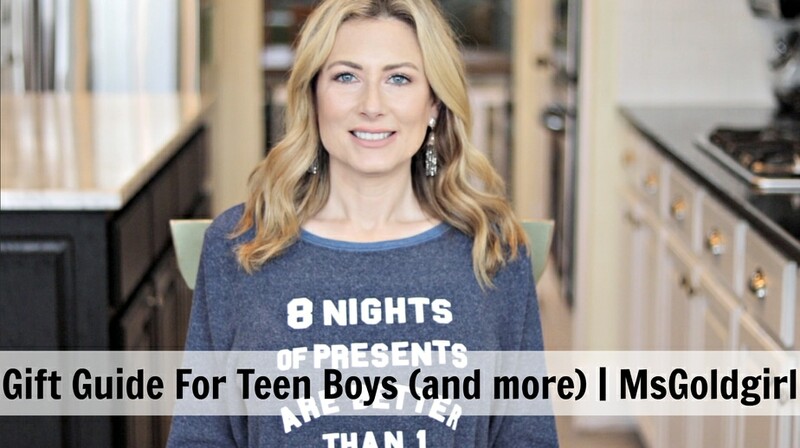 I should add that although this is directed at gifts for teenage boys, this 40-something year old woman would enjoy pretty much everything on the list. I bet you can find something for everyone on your holiday list below!